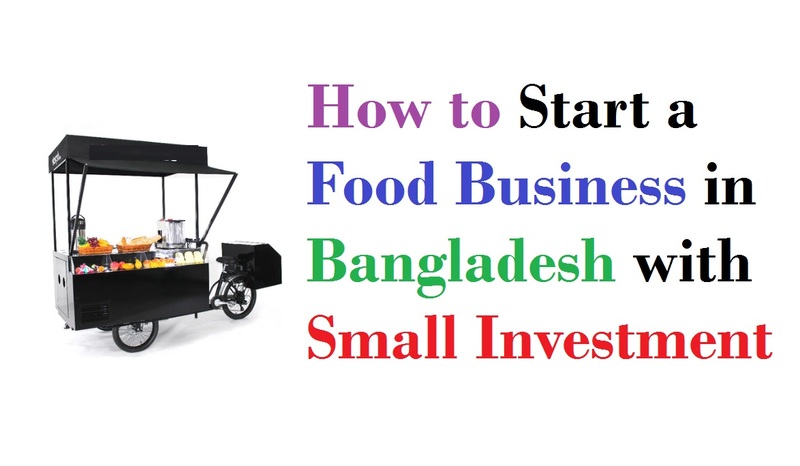 If you’re one of them who are thinking to start a food business in Bangladesh then you’re with a great idea that you can translate it into opening a business. But, if you want to start your business with a low investment in the beginning then before that you need to be precise about what food stall you are going to start. Also, you should concentrate on what age group of people you’re concentrating on. On the other hand, one of the most challenging businesses to get into is to start a food business. And it’s true that the harsh reality is that most fail within the first year. Although the restaurant business is notoriously tough, where there is a will there is often a way! Turning that ambition into success while vision and ambitions are important. As there are employed a significant portion of the labor force in the country, food business in Bangladesh is a rapidly growing sector. The food processing industry in Bangladesh grew at an average 7.7 percent per annum between 2004 and 2010. In its 25006 Economic Census, Bangladesh Bureau of Statistics has reported that there were approximately 246 medium-sized food processing industries employing 19% of the industrial manufacturing workforce in Bangladesh or 8% of the total manufacturing labor force. As the food industry employs 2.45 percent of the country’s total labor force, its share in the GDP was 2.01 percent in 2010. Engaging in food processing throughout the country, there are also numerous small-scale factories and domestic units. Also, the food processing sector in Bangladesh is a 4.5 billion US Dollar industry according to some industry analysts. In addition to these, with domestic or family business using common processing knowledge for the conservation, food processing in Bangladesh has traditionally been small scale. So, if you want to start a small food business in Bangladesh then it would be a wise decision. But, you must have a wide experience and business planning to be successful in the business. As you need to be precise about what food business in Bangladesh you’re going to start, you should concentrate on what age group of people you’re concentrating on. Also, you should make your product initially at home so that you can take the responses from various people around you. But, above all, you should follow some specific steps in order to get the durability in the food business in Bangladesh. Now, let’s know the steps that are essential to start a small food business. Although you can’t scratch a business plan out on a cocktail napkin, you need a detailed business plan that charts the course for your success. In this case, you should make a Lean Plan that keeps the business planning process as simple as our suggestion. As you return to regularly to help you plan for growth and measure your progress, think of your business plan as a living document. When it was time to grow and expand to a new location you may really get serious about your business plan. It’s a perfect location that’s as much vital as the business plan is for your food business in Bangladesh. Along with an easily accessible, you need a spot that draws crowds and has the potential for growth. But, don’t forget your budget and keep pace with it while getting a space for your business venture. As you’re looking for the right space, it makes sense to take your time. And if you do some research to find out of there are any startup incubator spaces for restaurants then you can join to keep initial costs low and that might come with mentorship opportunities. Selecting a location is one of the biggest decisions you’ll make as an owner whether you decide to rent space or build from scratch. However, you should avoid doing a huge build-out at first. It’s just the beginning of your journey as an entrepreneur while coming up with a great business idea. Before you can get started, there are many more steps that you need to take. As fleshing out your business idea is one of them, it’s very critical to the success of your venture. Although you have a brilliant idea that you know will definitely work, what about your competition and whether it be difficult for a rival to copy your idea and repackage it in a better way? When you approach them for funding, a potential investor will ask you this. The market you operate in and your competition are very important to understand them. After looking at the trends and identify challenges that your business may face, the next step is to understand how you are going to address those challenges to stay profitable. It’s known to all that a food business in Bangladesh needs money, but it’s more important to find out how much you need. You run the risk of coming up with an unrealistic valuation of your business without a clear idea. If you don’t have an assumption of your business capital then it will put off investors and get your loan application rejected. That’s why you should focus on evaluating your funding requirements before you start wondering how you should raise money. And you have to know how much do you need to get started and how exactly are you going to use the funds. Apart from these, you also need to find the sources of your capital that need to run your business. In this case, you can think about how much you have as your savings along with your potential loans.